Empower your contact centre agents to provide customers with support and assistance using SMS. Manage multiple conversations across teams via our online portal and boost your contact centre efficiency. Discover how SMS chat can work for your business. 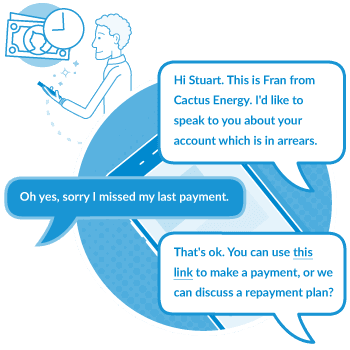 Complaints and support queries can be dealt with quickly via SMS Chat. 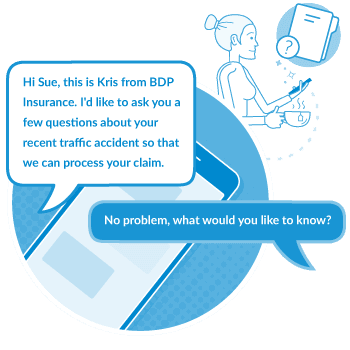 If a customer has a complaint they can initiate a conversation by sending a simple text message rather than waiting on hold to speak to someone directly. Depending on the message content, you can route the customers messages directly the most appropriate team. With historical chats, your agents can quickly see a customer’s previous conversation and follow on from there while also providing your business with the power to make customer service improvements. Send payment reminders with the ability to follow up with an invitation to a payment portal or start a conversation using SMS. Validate the customer’s identity and set up payment plans directly from their messaging application. Most customers are supplied with an order number after making a purchase. 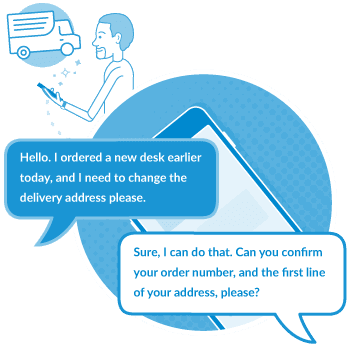 With SMS chat, a customer can make any alterations to an order using only SMS by using their order number for identification. The customer can have their chat quickly directed to the most appropriate department enabling a smooth transaction. SMS appointment reminders undoubtedly improve attendance rates but with SMS chat customers can rearrange an appointment directly using SMS. 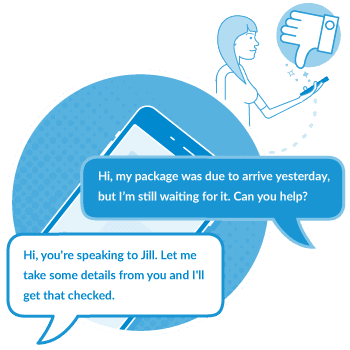 Appointments can be arranged as soon as the messages come in and with multiple conversation handling, chat agents can offer an availability as soon as one comes up. 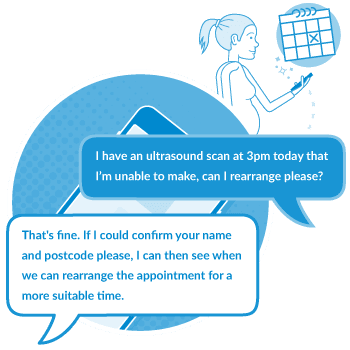 Whether it’s a repair callout or a doctors appointment, managing your appointments has never been easier.